The TVA headquarters building is located in downtown Chattanooga. Electricity will cost more come October. On Thursday, TVA's board unanimously approved a 2 percent rate increase effective Oct. 1. Officials say the increase is to help the utility cover a $234 million shortfall in its 2012 fiscal budget. The rate increase will amount to about $1.60 on the average residential bill, said TVA Treasurer John Thomas. "That's about half the price of a gallon of gas," said TVA president and CEO Tom Kilgore. Thomas said TVA registered only 1 percent revenue growth in the past year, something he blamed on the economy and on tornado damage and plant shutdowns that forced TVA to buy replacement power. TVA officials said Tennessee Valley power retail rates still rank the utility 43rd lowest among 100 utilities. 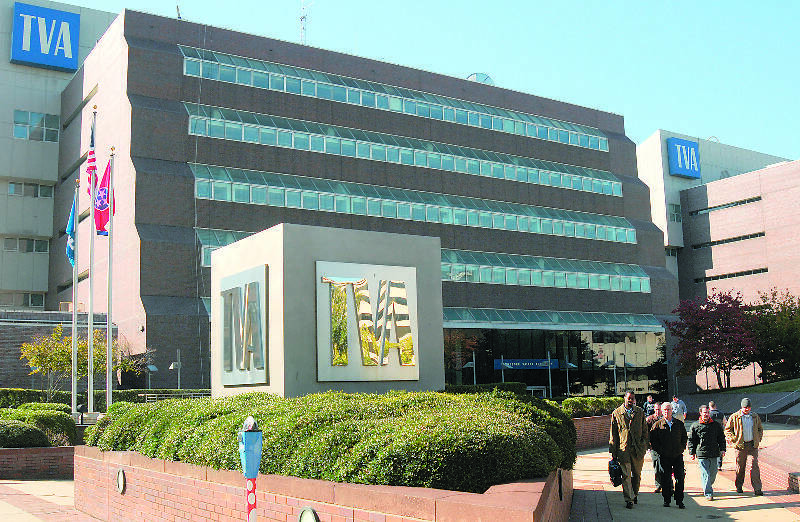 Despite the shortfall forecast for fiscal 2012, TVA officials told the board that fiscal 2011 to date has been good, and the utility is expected to end the year "with positive cash." Thomas said hot weather has driven higher sales and revenue. Contact staff writer Pam Sohn at psohn@timesfreepress.com or 423-757-6346.